Browse other questions tagged bug mathjax mobile-web . MathJax not rendering correctly on full site on mobile. Number of awarded points is not being displayed correctly. 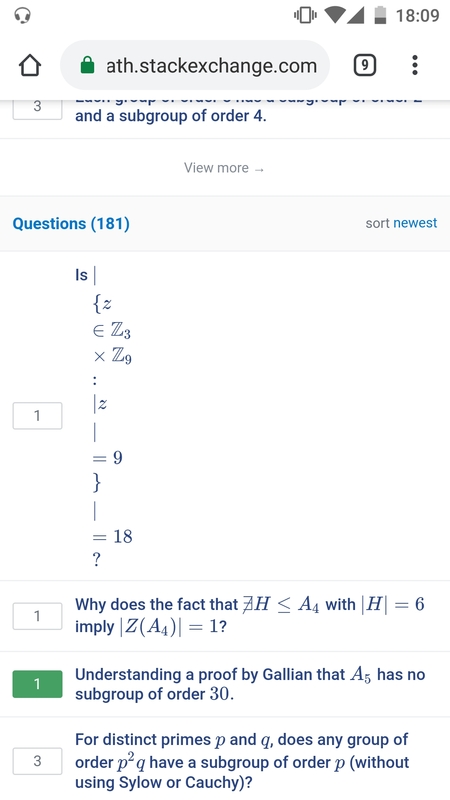 Why does MathJax not render in comments on the mobile app? Problem with the Mathjax loading in previews? Some pictures don't show on mobile site. Why is there not a cancel link when editing on the mobile site?